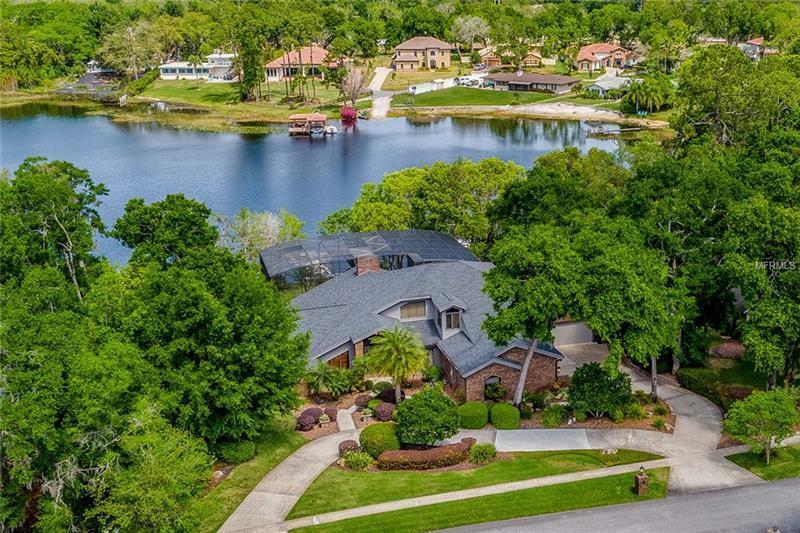 Fall in love with this custom designed dream home and enjoy the Florida lifestyle, relishing in the sunshine and experiencing the beauty of the scenic surroundings! Designed around the lake, all living spaces offer STUNNING PANORAMIC VIEWS throughout walls of windows allowing for abundant natural light. Upon entry to the two story GREAT ROOM, youâll fall in love with the soaring ceilings, engineered hardwood floors, impressive fireplace, and sweeping views. The chefâs dream kitchen offers SUBZERO appliances, EXOTIC GRANITE, a BUILT-IN BAR, CUSTOM CABINETS, and DOUBLE DOORS to the IMPRESSIVE LANAI. The first-floor private master retreat provides serene views, double walk-in closets, and a spa-like master bath. Walking up the stairs you will find a spacious loft leading to a BALCONY with travertine floors and relaxing views. Continuing quality spills from the inside out as you relax and gather with guests in the EXTENSIVE SCREENED LANAI where you can enjoy your beautiful GAZEBO with an OUTDOOR KITCHEN, private pool, spa, and TWO MOVABLE DOCKS. This amazing home is also highlighted by a 3-car garage and a separate 2-car detached commercial quality garage with abundant storage and access to the lake. PELLA WINDOWS and DOORS were installed throughout the home a few years ago. The RECENT ROOF was installed in 2015 and the owners have an active termite bond. Sunset cruises, skiing, paddle-boarding, fishing & more are just a few steps away! Enjoy the lake lifestyle & make this home yours! Pet Restrictions: Buyer to verify pet restrictions with city/county.